Fans of the highly successful "X-Men" franchise will know precisely what to expect from "X-Men Origins: Wolverine" (Fox/Marvel), a lavish and flashy action-packed prequel which explores the back story of conflicted Marvel comic-book superhero James Logan, aka Wolverine. Once again, he's played by the likable Hugh Jackman in the role that made him a star in 2000. The opening scenes show us his defining childhood as a sickly 19th-century Canadian child who, in a traumatic series of events, sees his putative father murdered, spouts the metal claws that will become his trademark, and in the first demonstration of his volcanic temper skewers the killer. He and his bloodthirsty older brother, Victor -- endowed with the same powers as young Jimmy -- flee the scene. 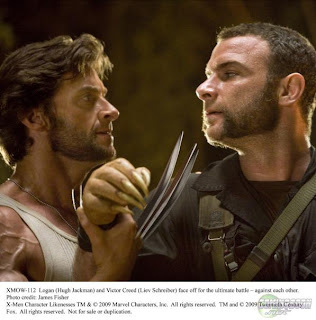 After that, there's a vivid montage of the grown-up brothers -- now played by Jackman and Liev Schreiber -- serving in and, thanks to their extraordinary powers of healing, managing to survive a succession of wars over the decades: the Civil War, World Wars I and II and Vietnam. Logan and Victor (aka Sabretooth) become part of a military team of fellow mutants Wade Wilson/Deadpool (Ryan Reynolds), Agent Zero (Daniel Henney), Wraith (Will.i.Am), Fred J. Dukes/The Blob (Kevin Durand) and Bradley (Dominic Monaghan) -- under the command of the duplicitous Col. Stryker (Danny Huston). After witnessing one particularly repellent episode in Lagos, Nigeria, Logan decides to turn his back on violence, and moves to what he hopes will be an anonymous existence in the Canadian Rockies as a lumberjack, where he finds romance with dedicated schoolteacher Kayla (Lynn Collins), a relationship that will end in tragedy when the cold-hearted Victor comes hunting for his errant sibling, as he murderously hunts down his old teammates. 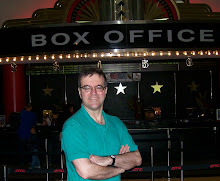 Director Gavin Hood, whose 2006 South African film "Tsotsi" won the Oscar for best foreign film, has less exalted material to work with here, but tries not to lose sight of the human elements with Wolverine -- and the other good characters -- generally demonstrating moral conscience. However, our hero is at least partly motivated by vengeance, as when he agrees to a Dr. Frankenstein-like procedure that will make him indestructible. "You'll suffer more pain than a man can endure, but you'll get your revenge," he's told before agreeing to the bone-rattling transformation. On the other hand, a kindly farmer who gives Logan refuge at one point advises the hot-headed mutant, "We all have a choice."